Before you panic, find out what type of Ransomware you are up against. Scareware is a type of Ransomware that tricks you into thinking you have a bigger problem. A simple scan may quickly remove the pop from your browser cache and get you back on your way. 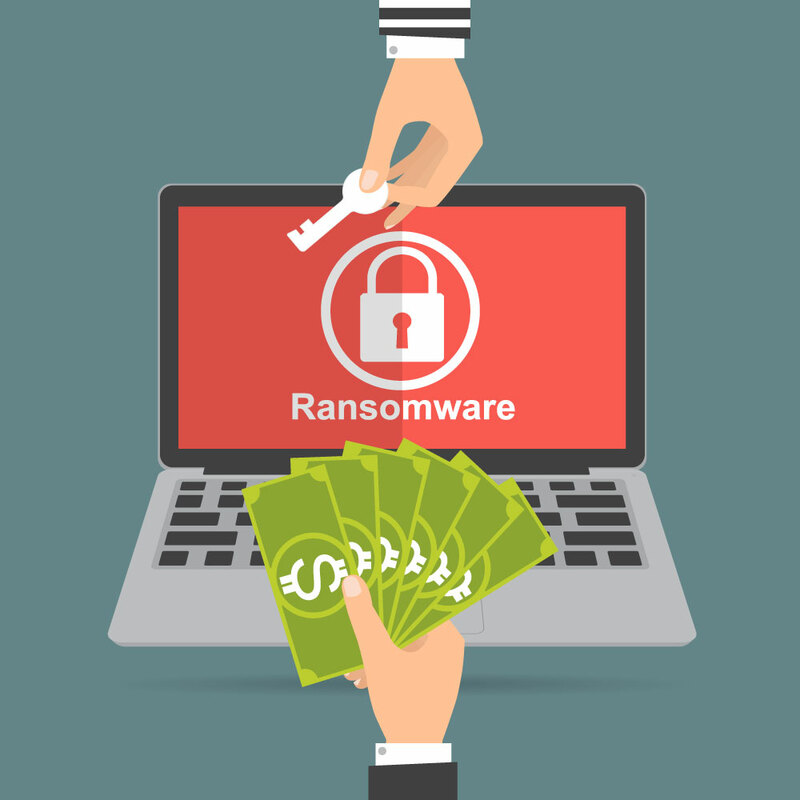 Some ransomware is truly nasty — your entire system may be encrypted, meaning you will need to wipe your system and start over if you have a good backup. Otherwise, you may find yourself hostage to the cybercriminals to unlock your data. Data protection is an important element in minimizing the impact of Ransomware. Make sure your network security is fully compliant. Backup your data, update your antivirus definitions and make sure your security patches are up to date. Consider using Cloud Backup, Security as a Service, and Managed IT services to keep your network up to date. Having a strong offense to avoid ransomware is your best defense. Train your employees on a regular basis on the importance of staying vigilant against Cyberattacks and how to avoid being a hostage. There are many resources to get training for your team. Periodic updates about threats and security procedures serve as a reminder to your employees to ensure they adhere to best practices. If you need security training or are interested in a review of your network, security vulnerability, or other technology infrastructure, contact your Technology Advisor today.